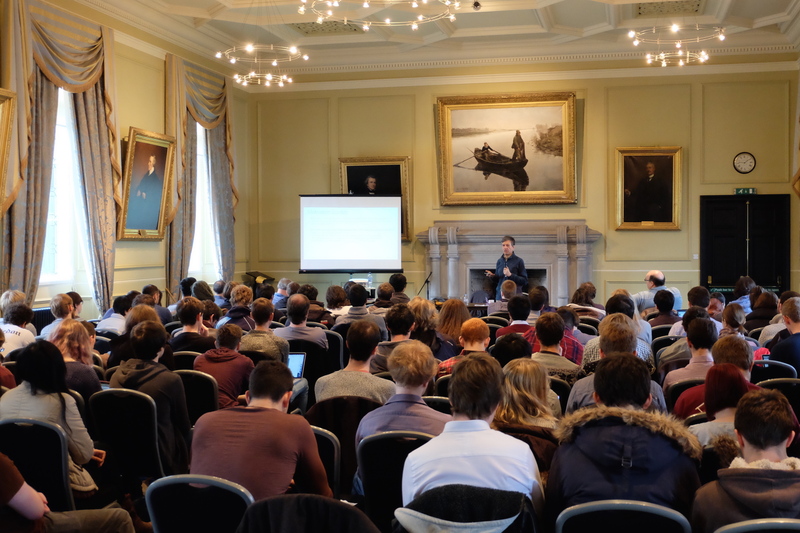 The 2014 Distinguished Lecture Series took place on Tuesday in Lower College Hall. 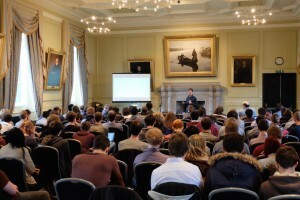 This year’s speaker Prof Luca Cardelli of Microsoft Research and the University of Oxford, delivered three lectures involving Morphisms of Reaction Networks that Couple Structure to Function. The mechanisms underlying complex biological systems are routinely represented as networks. Network kinetics is widely studied, and so is the connection between network structure and behavior. But it is the relationships between network structures that can reveal similarity of mechanism. We define morphisms (mappings) between reaction networks that establish structural connections between them. Some morphisms imply kinetic similarity, and yet their properties can be checked statically on the structure of the networks. In particular we can determine statically that a complex network will emulate a simpler network: it will reproduce its kinetics for all corresponding choices of reaction rates and initial conditions. We use this property to relate the kinetics of many common biological networks of different sizes, also relating them to a fundamental population algorithm. Thus, structural similarity between reaction networks can be revealed by network morphisms, elucidating mechanistic and functional aspects of complex networks in terms of simpler networks. possibilities both for study (science) and control (engineering). simulation with sensing to give us new ways of looking at the world.